This is the story of a grandmother whose tips on how to spot a witch fail to prevent her inquisitive grandson from being turned into a mouse when he meets the Grand High Witch at the Hotel Magnificent in Bournemouth. 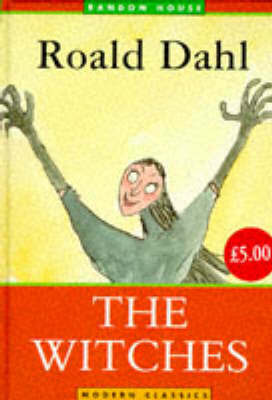 Classic Dahl in an enticing, collectable new format. REAL WITCHES dress in ordinary clothes and look very much like ordinary women. They live in ordinary houses and they work in ORDINARY JOBS. So you could be living right next door to a witch and you'd never even know it! Luckily, this story, about the defeat of the gruesome Grand High Witch and her evil cronies, points out the vital clues. From the Trade Paperback edition.